Edition I: Museum of Fine Arts, Boston, MA, USA; (1946) 46.408 [not illustrated online]. The four Fan Series designs (including 102-5) and the 36 Series design 102 in the 102 Rabbitear Iris theme have seal A and were all created and carved approximately in the third quarter of 1933. 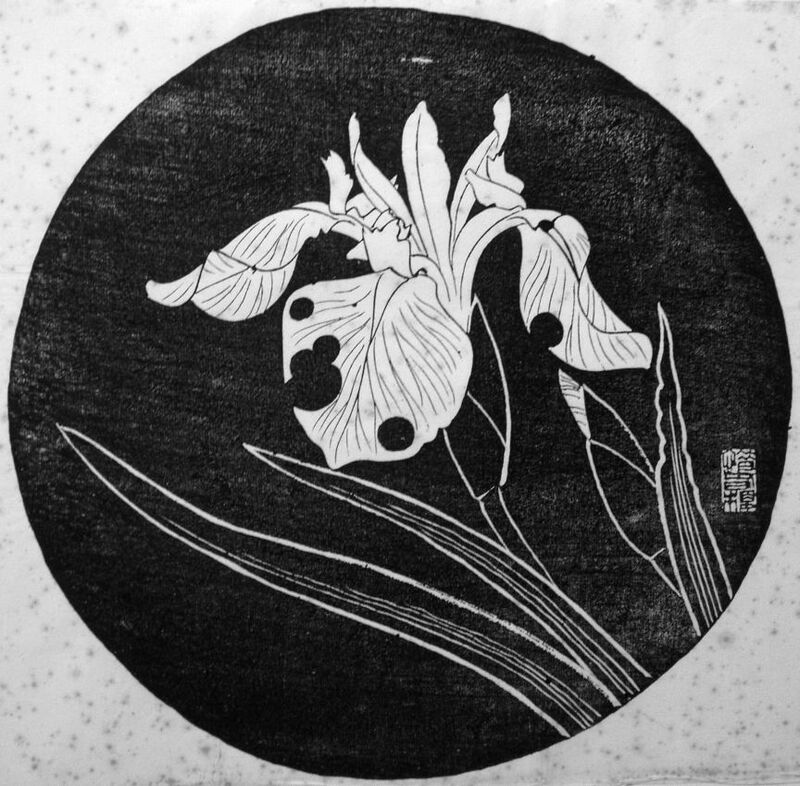 According to the Fan Series delivery documents for installment one, the woodblock prints of the 102 Rabbitear Iris theme were printed in January 1934 and distributed January 20, 1934 in the first delivery, installment one (of twelve). 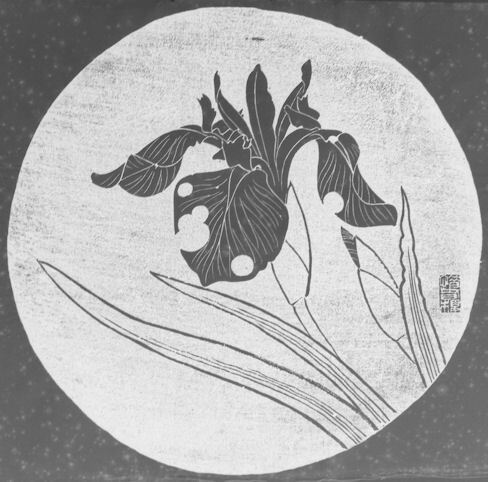 There Rakusan used the theme title かきつばた, kakitsubata, 'rabbitear iris'.